How To Delete A Facebook Fan Page Permanently? Home > Tips and Tricks > How To Delete A Facebook Fan Page Permanently? We all have a Facebook account to communicate and promote our business or to express our thoughts. Often we create some pages in Facebook for fun, business promotion, express our mind voice etc. Some time we also create a page for special occasion, events or for a certain time range. So, then you need to remove that page from your account. This would be also needed if you create a Facebook page with misspelling name, selecting wrong category etc. In this post we will learn how to delete a Facebook fan page from an account. For friendly Facebook layout I know this is very easy for someone but I think this a topic that should stay on this little blog. ALSO READ: How To Get Visitors From Facebook Fan Pages? How to delete a Facebook fan page swiftly? Well! We already said that this is very simple trick if you know. 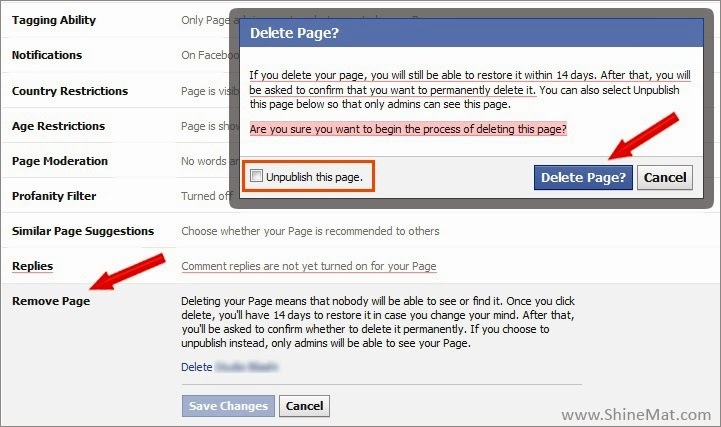 But if you don’t know about that here is your step by step solution to delete your Facebook fan page permanently. 2. Select your page which one you want to delete permanently. 3. From your page select Edit Page drop down menu. Click Edit Settings. 4. Now from your settings page scroll down at bottom and select Remove page option and click Delete XYZ page. 5. A confirmation message will appear which will say after deleting you can restore your page within 14 days and after 14 days Facebook authority will ask you again about your permanently delete confirmation. Now to delete your page click Delete Page button. If you wish to do not delete your page but want to stop publishing then simply click Unpublish this page check box. This will not delete your page from Facebook server but it will remain as offline and unpublished page. 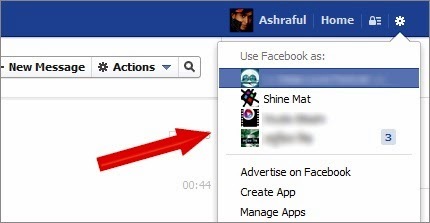 You will need to use this feature when you create a page just for how to make a Facebook like page to your friends or new learners, you need to remove your page because your event time is over or you shut down your brand/ business/ products and many more reasons. Here one thing is noticeable, you have to right full admin power to delete a page. 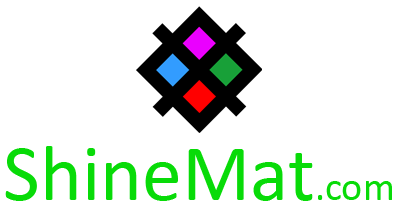 So if you have multiple admins for your page make sure they are fully trustable otherwise you can give them limited admin rights. Remember again, once you delete a Facebook page there is no way to recover it again. For now, kindly share and like our Facebook Page.